When you stay with Jet Luxury Resorts @ Trump Waikiki beach hotel, Oahu some of the best entertainment and activities in Hawaii can be found right here in Honolulu. 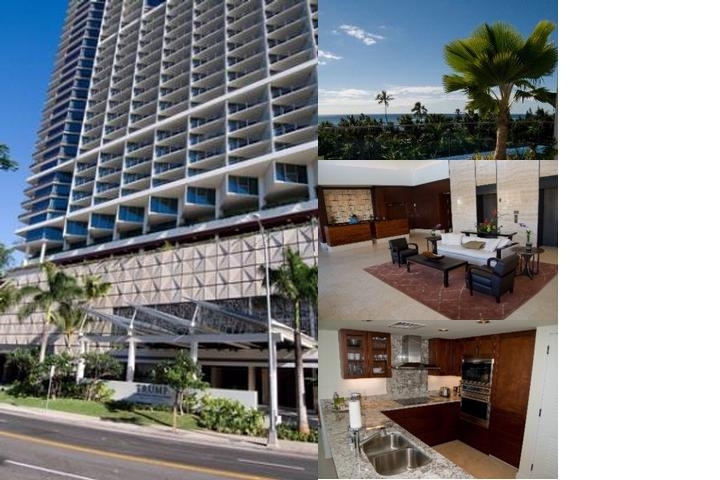 Amazing Activities and Restaurants are just minutes away from The Trump Waikiki beach hotel. Trump International Hotel™ Waikiki Beach Walk® just steps away for the beach is Waikiki's newest landmark and is located just steps away from Waikiki's famous white sand beaches and the new Waikiki Beach Walk® offering vibrant entertainment, exclusive boutiques and world-class restaurants. Hotel Features: Donald Trump at his best with a lei around his neck - that's the epitome of the Trump International Hotel Waikiki Beach Walk, located near Honolulu Beach in the Waikiki neighborhood. Listen to some of these great features, and you'll know that it's all Trump. Guest Rooms: You're looking at 462 guest rooms with city, ocean, or mountain views, all depending on what you like. The bedding is the best you'll ever feel on your back compared to any other resort - Egyptian cotton linens, triple sheeting, and down comforters. It is, of course, a 5-star property complete with kitchenettes that include microwaves, fridges, and cookware/dishes/utensils. Moreover, you get to enjoy the complimentary wired internet access and plasma TVs sporting Oncommand Video and regular cable channels. Adding to all these great features, you have the standard service of a nightly turndown and housekeeping crew. Nearby Attractions: If that wasn't enough for your resort pleasure, take a trip outdoors to the International Market Place, Waikiki Beach, Diamond Head, Honolulu Zoo, and the Ala Moana Center for the best of Hawaii and her culture. Amenities: Once you're done with your exploration, head back for some nourishment at one of two restaurants available, not to mention you even have 24-hour-a-day room service if you want relaxation time in the room. An outdoor pool, spa tub, and fitness center are also available for your health needs. Expert Tip: There's a lot to look at in the Trump International Hotel Waikiki Beach Walk, but know this: take advantage of the onsite library, coffee shop, and valet parking!